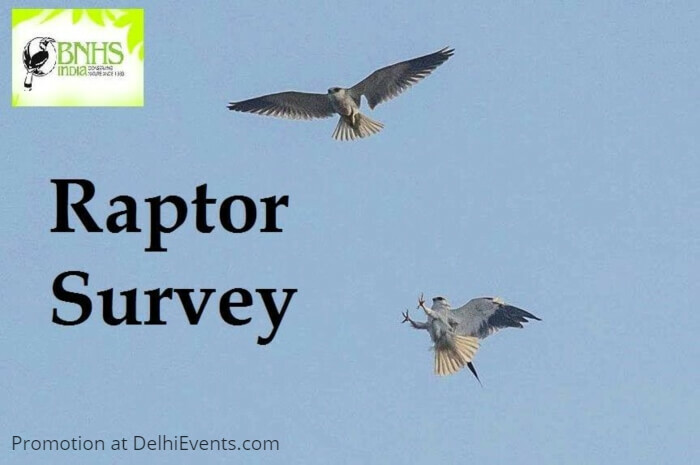 Event Description : WALK : BNHS, CEC-Delhi presents "raptor survey"
Once again get ready to learn about Birds of Prey with BNHS! Raptors play an important ecological role by controlling populations of rodents and other small mammals. Bombay Natural History Society is regularly conducting raptor surveys at Asola Bhatti Wildlife Sanctuary. Volunteers are welcome. If interested please join us for survey.